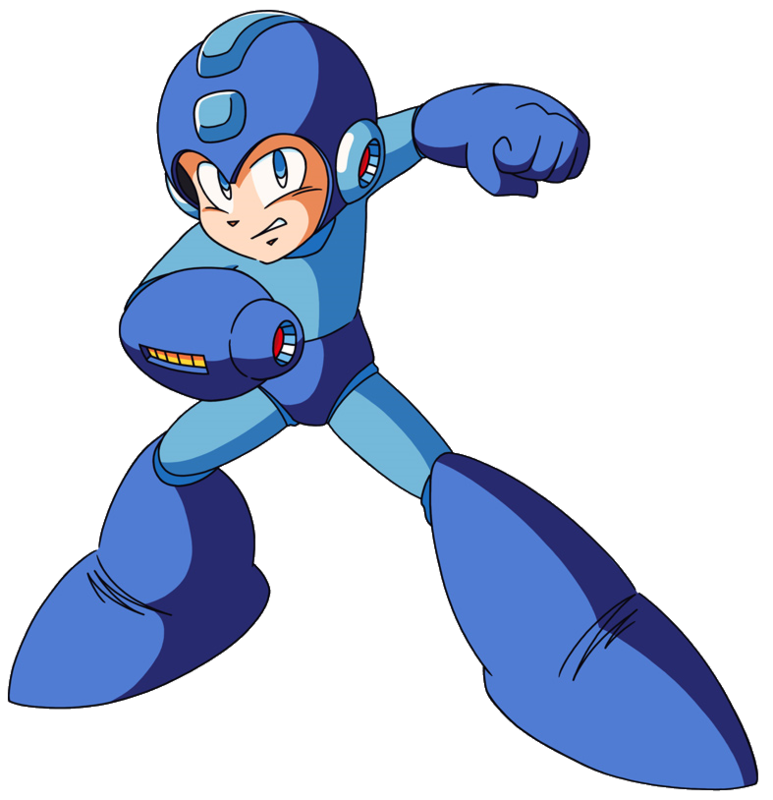 Mega Man, also known as Rock Man in Japan is the main protagonist of the MegaMan games which started back in 1987 already. 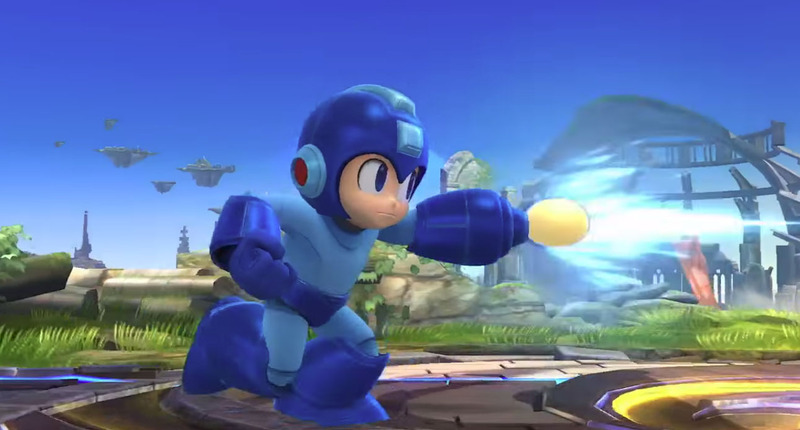 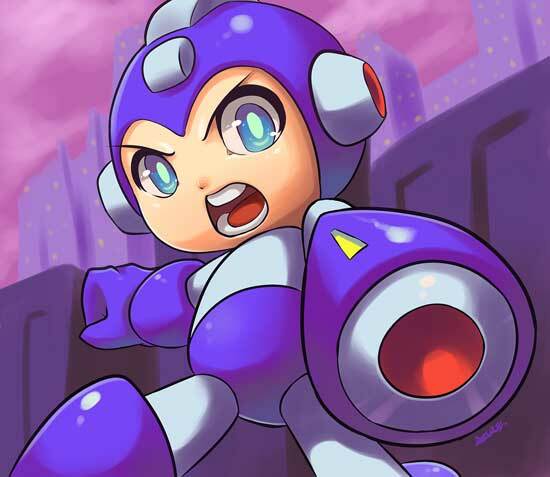 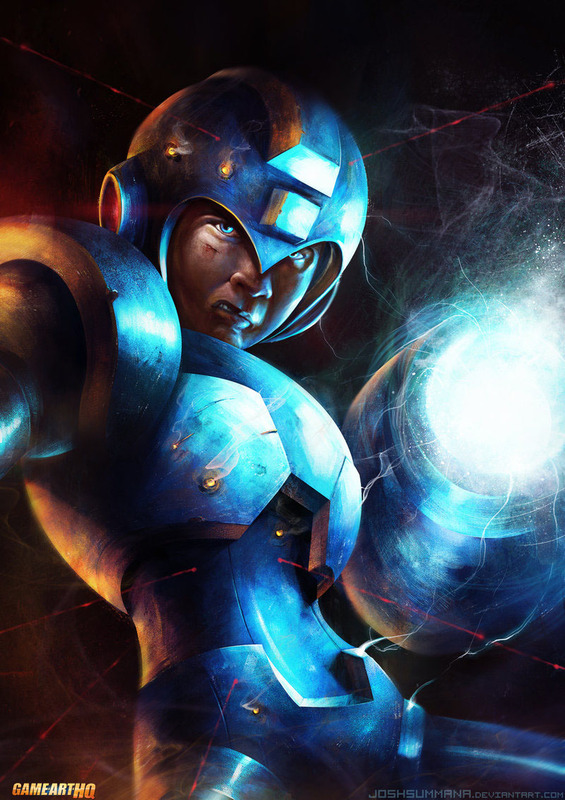 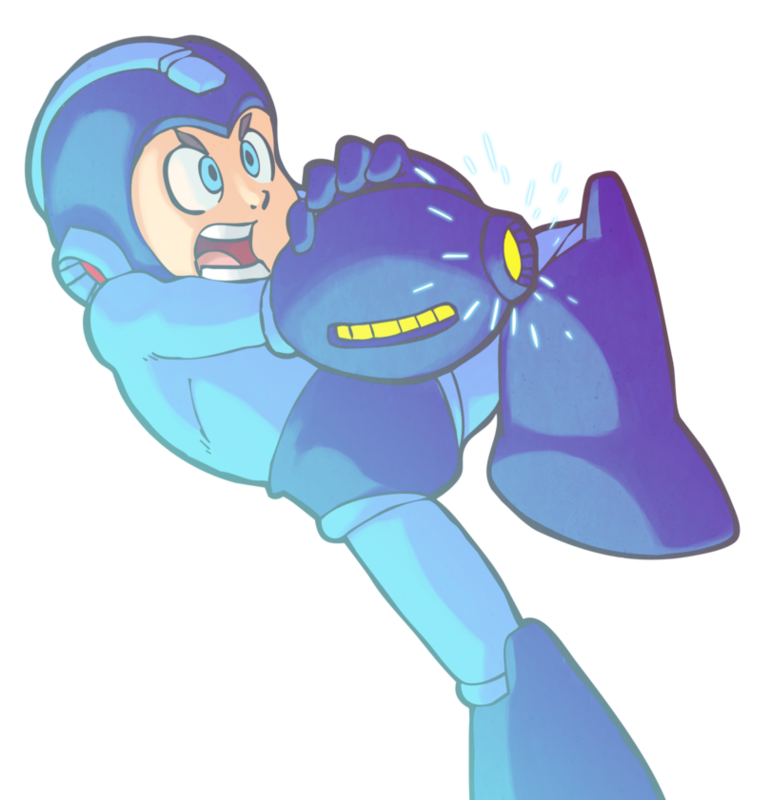 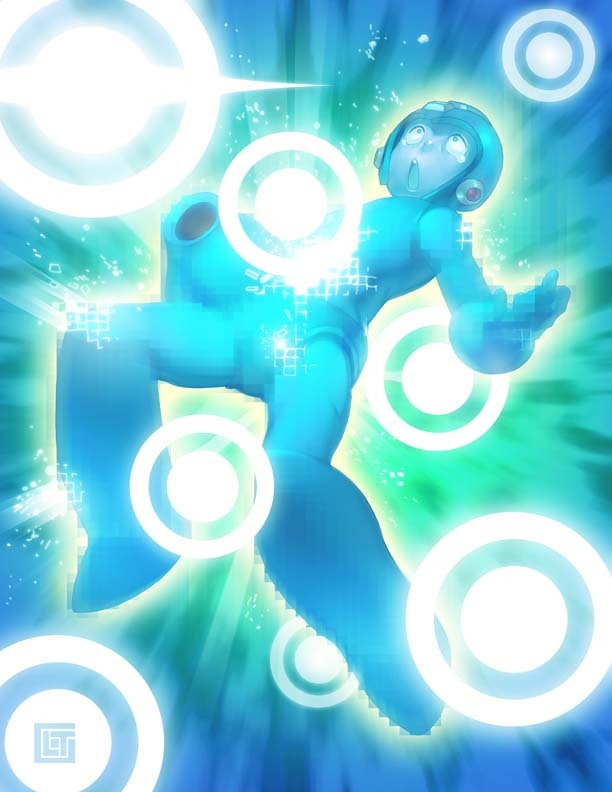 The “Blue Bomber” is a robot and can obtain the weapons of other robot masters which are usually the bosses of a stage, this adds a lot of new abilities to Mega Man during more or less all games he is starring in. 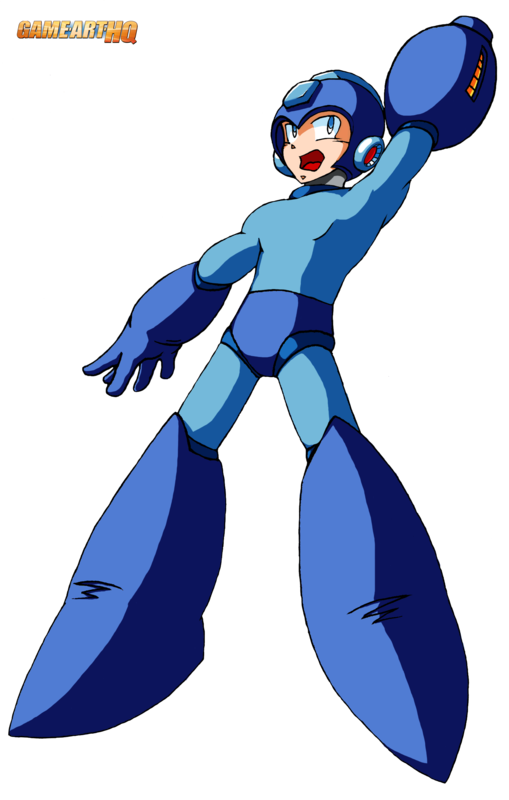 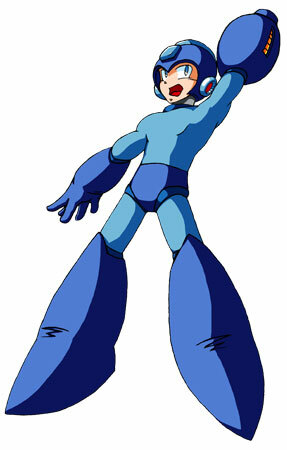 There are over 10 MegaMan main games and also spinoffs like Mega Man and Bass. 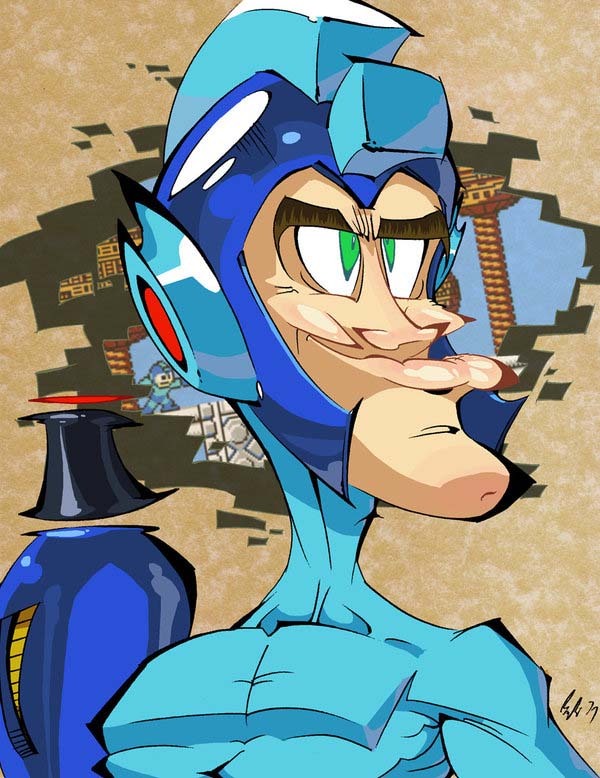 He was once one of the most popular video game characters ever and part of the Captain N cartoons back in the early nineties. 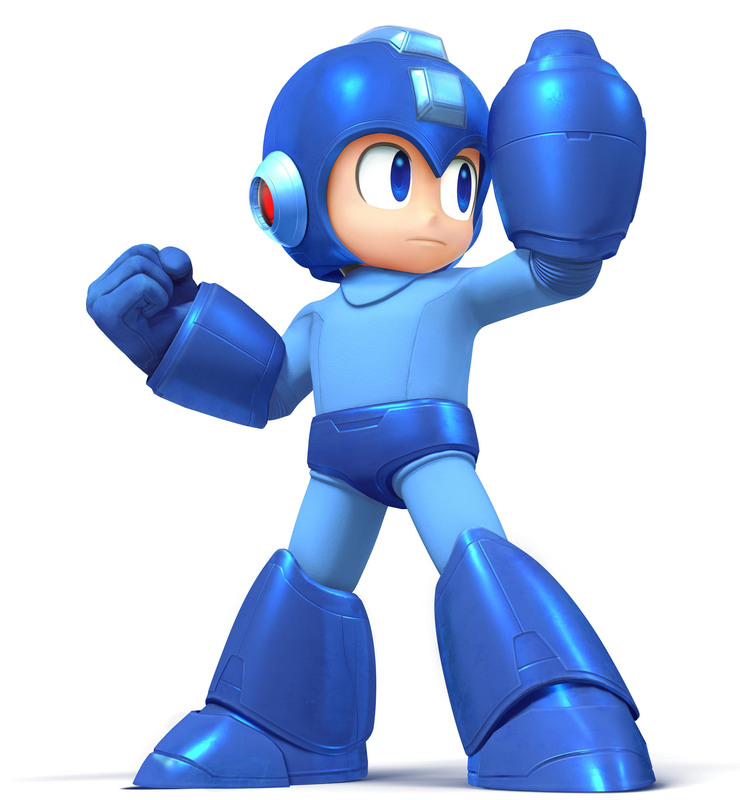 Today, his last big appearances were mostly in fighting games like Street Fighter X Tekken and Smash Bros. 4 (2014). 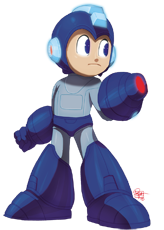 Cheer Up Mega Man, you’re 30 years old now ..and you don’t have to battle Dr. Wily for another probably long while since Capcom is busy with creating dlc for their remaining game series. 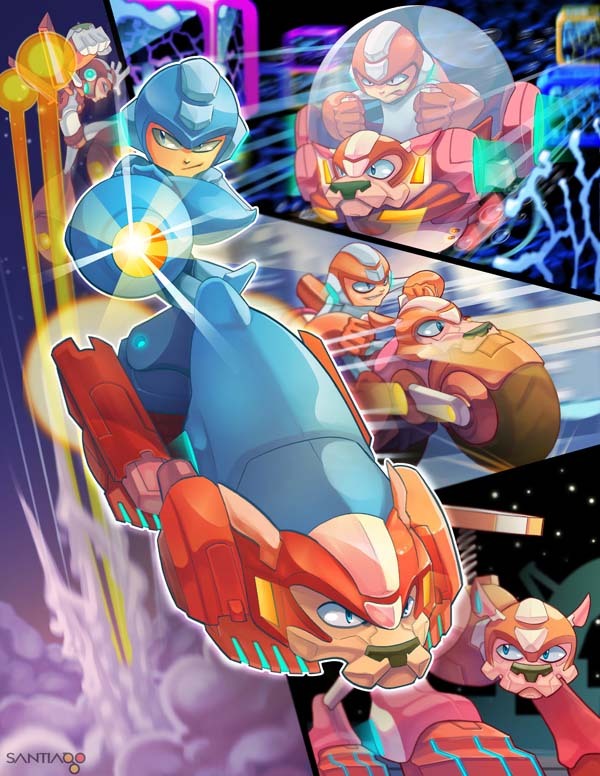 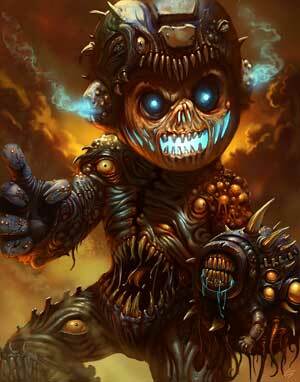 Yeah..its difficult to be in a happy mood while updating Mega Man’s gallery here. 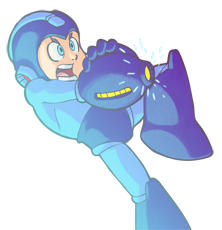 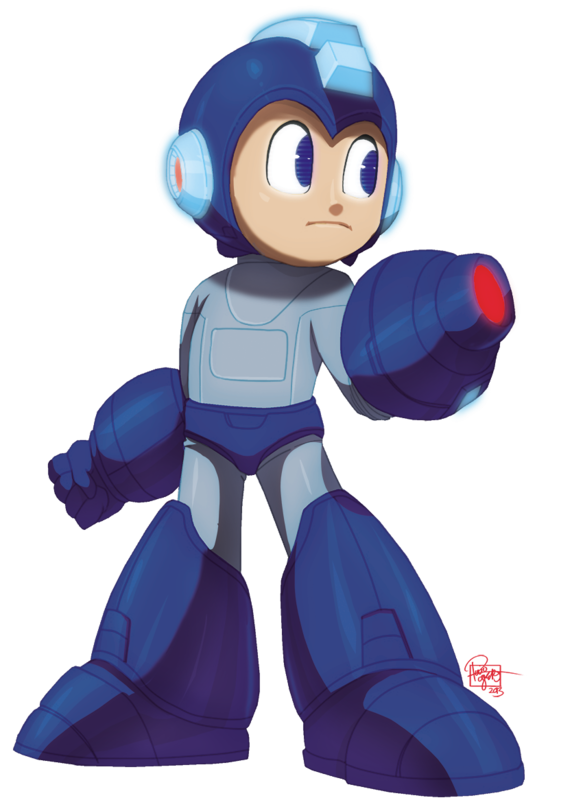 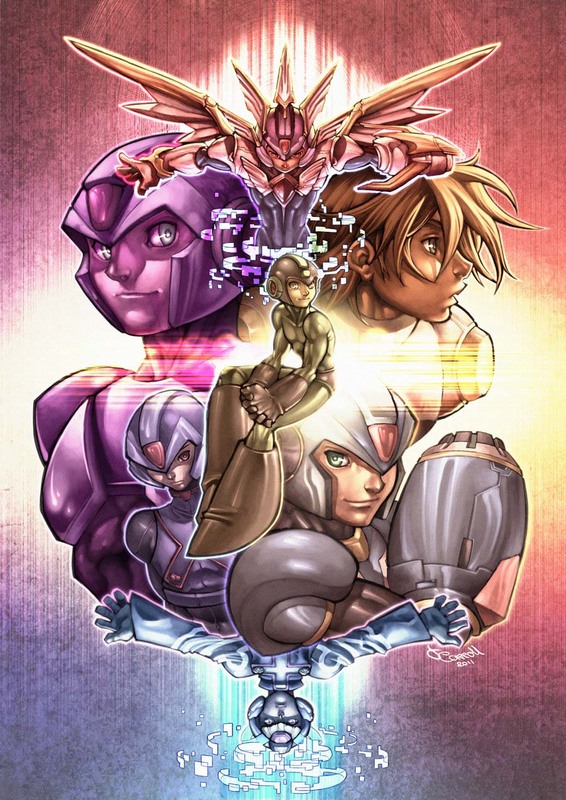 However, please enjoy our first drawing of Mega Man made for Game-Art-HQ by JetZero! 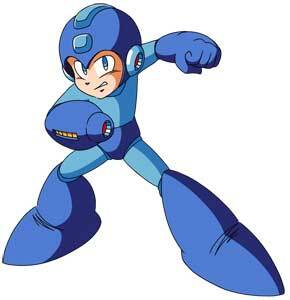 Mega Man 8Bit 4 Life!